Pat Gallegher, a failed seminarian, a retired forensic psychologist, and a disgraced college professor who now plays a jazz cornet in a dive bar in New Orleans, promises an old friend and fellow gambling addict named Cabby Jacks to find him should he disappear. Only two weeks after a deadly gangland shootout, New Orleans knight errant Pat Gallegher juggles two missing person cases which converge into a single diabolical conspiracy. Gallegher says, his debt is paid in spades. 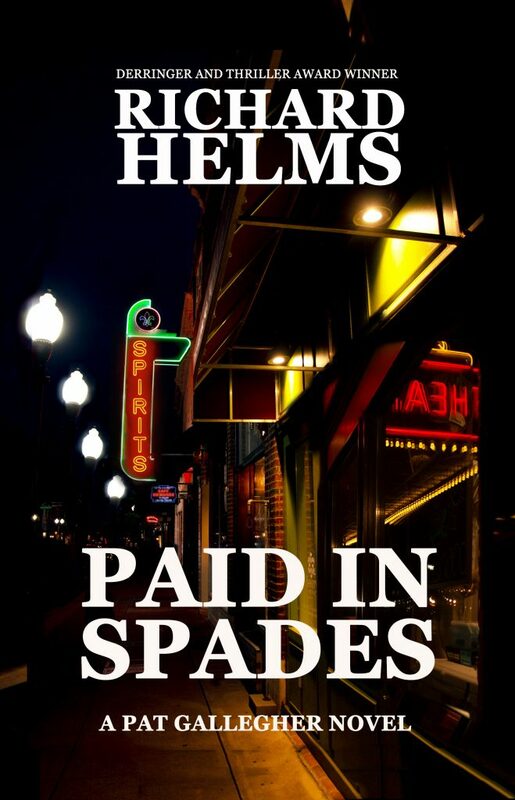 Richard Helms is the author of the Pat Gallegher series set in New Orleans, and the Eamon Gold series set in San Francisco. He is a three-time PWA Shamus Award Nominee. On May 2, 2008, he became the only author ever to win TWO Short Mystery Fiction Society Derringer Awards in the same year, for THE GOSPEL ACCORDING TO GORDON BLACK. 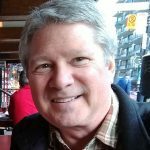 He retired from active practice as a forensic psychologist in 2005, after working in the field for over two decades to become a full-time writer. He is also the editor and publisher of The Back Alley, a webzine featuring hardboiled and noir fiction for a new century. 10/30/2018 – “The Return of Pat Gallegher by Richard Helms,” guest post on What is That Book About.